The Sumner-Bonney Lake School District is able to keep its pool open through the fall 2019 swim season in light of the School Board's direction to further review, study, and evaluate the Sumner High School expansion and modernization project relating to current state and local circumstances. Once slated for closure after the 2018-19 school year, the pool can now remain open several months longer due to changes in the timeline for Sumner High School's expansion and modernization project. While the pool's closure is imminent, the District understands the importance of, and stands committed to, offering an alternative location for swim practices when the time comes. A more definitive timeline for the pool closure is likely to come during the summer of 2019 after School Board direction following completion of the review, study and evaluation of the expansion and modernization project. The District will keep you posted as review and study of the Sumner High School construction project progresses. 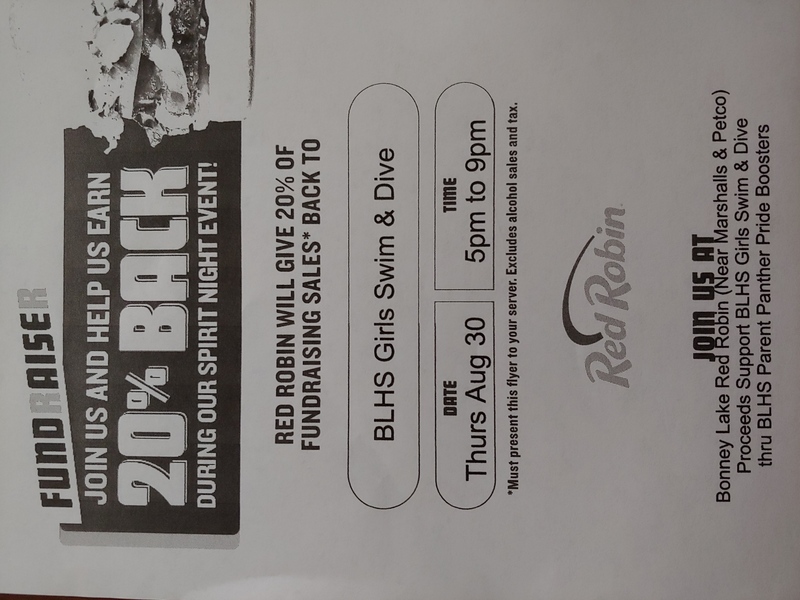 FUNDRAISER -- Red Robin Thursday - Aug. 30, 2018 from 5 to 9 p.m.
Website Design and Programming Provided by Notable Web, Inc.